Hush is an implementation of the Zerocash protocol, offering a high standard of privacy preserving confidentiality of transaction metadata. 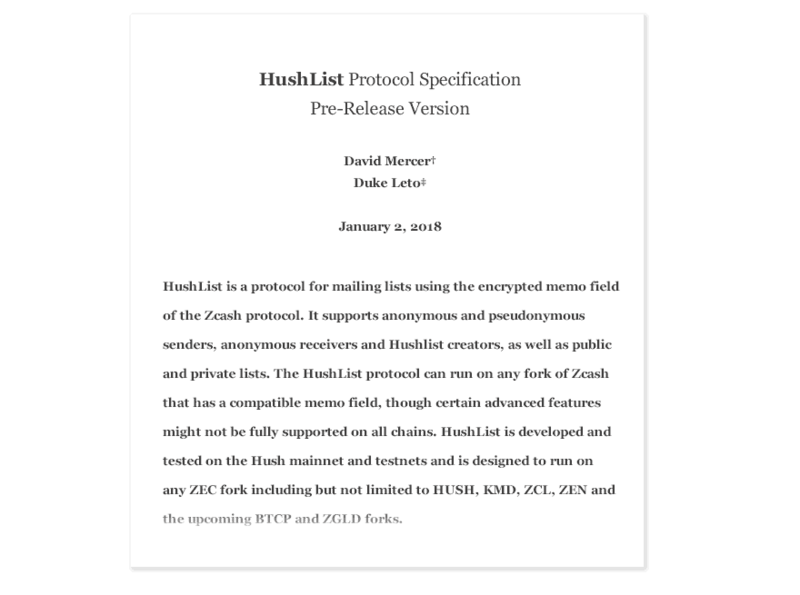 Hush Messenger and HushList are state of the art private communications leveraging zkSNARKS technology. A Counterparty Port to Hush enables public and private asset issuance. Ethereum developers will be able to easily author smart contracts on Hush. Hush is often one of the most profitable EquiHash coins to mine. Mining is possible with GPU and ASICs. 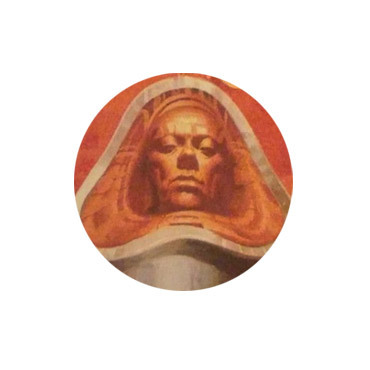 For help, join us on the 'Mining' channel of our Discord or connect to a pool. Our thriving developers bring their skills to an open source project. Check out our current projects, or visit discord to contribute. Our dev team is releasing bleeding-edge technology on a regular, consistent schedule making Hush one of the most talked about "coins to watch". You can review, comment and propose updates. Your payments & transactions are private. Uses a Peer to Peer network. Send money to anyone in the world. Your payments/transactions are processed instantly. Hush the most talked about "coins to watch". HushList the new mailing platform. HushNG the best wallet out there. HushPay the new light zero-knowledge payment system. Hush is the first cryptocurrency offering zkSNARK (upstream Zcash 1.0.13 build), TLS (secure nodes), TOR nodes and bitcore making it the most secure and advanced privacy coin ever created! All-in-one, Hush Next-Generation is a highspeed messaging, transaction, and asset platform for the blockchain. Leveraging a zkSnarks core, HushNG enables rapid messaging, transacting and issuance for private or public addresses, on all platforms. In full development and coming soon. Hushlist is a program which allows communicating via the cryptocurrency Hush. You can send messages to around 50 people simultaneously, allowing for encrypted mailing-list style messaging. Using the zCash protocol, it allows transactions involving shielded addresses in addition to normal transparent Bitcoin addresses. This allows transactions without disclosing sender, receiver, message (or even that a message existed), or financial transaction amount. Hush is an open source project to its strength, and is motivated solely by the interests and activities of the community at large. It is one of the first coins to be traded on BarterDex and strongly supports decentralized exchanges. BarterDEX is a decentralized cryptocurrency exchange (1) developed by Komodo, which supports HUSH and many other currencies. It allows you to exchange one cryptocurrency for another, just as you would exchange paper money in a currency exchange in an airport. It does this using a technology called Atomic Swaps. Atomic Swaps allow buyers and sellers to perform exchanges peer to peer (P2P) rather than through a centralized exchange. In the most simple terms, it acts as a sort of escrow. Agama is a Multiwallet provided by the SuperNet project, a company acquired by Komodo (KMD) which supports Hush. Agama Desktop is available on Windows, MacOS and Linux. You need Activate Advanced Features for use Hush. You can find how to use Hush with desktop version here. Agama Mobile is currently available in the Google Playstore. and we are working on upgrading our chain to Sapling. Berg is a young professional whose expertise are in financial planning and analysis, as well as organizational leadership. He currently works as a financial analyst for a Forbes top 10 private company, and co-owns and operates a real estate investment and management firm. Through his years of entrepreneurship, he has learned much about market penetration, marketing strategies, and managing business relationships, which he hopes to expand upon through his role on the team. FireMartZ has a strong background in business management and more than 15 years of experience in scientific software engineering and development in areas such as augmented reality, virtual reality, interactive rendering and image processing. He loves to solve technical challenges to deliver in a timely fashion high quality products solving real problems and meeting users expectations. He decided to join Hush because he believes security and privacy should be the top priority in the decentralized world we are building today. Hush is a community project. Everyone is welcomed with open arms! Copyright © 2016-2019 Hush. All rights reserved.